As I’ve indicated in my earlier blog post, there was only one entry signal the other week but a couple of new crossovers were made. 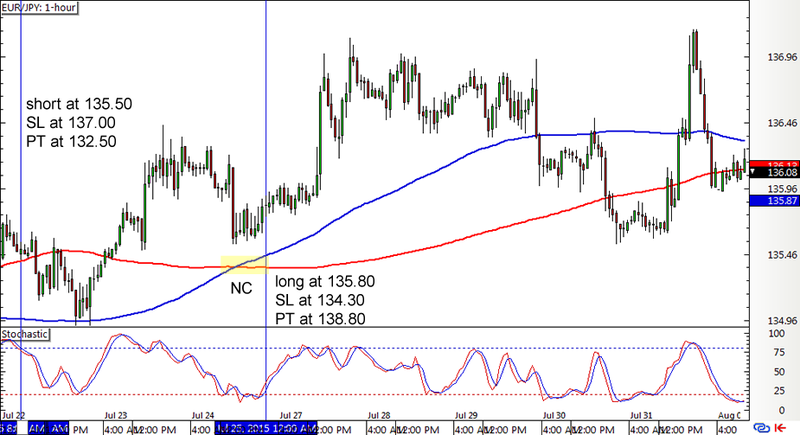 Unfortunately, the short position on EUR/JPY had to be closed early when the moving averages made an upward crossover. 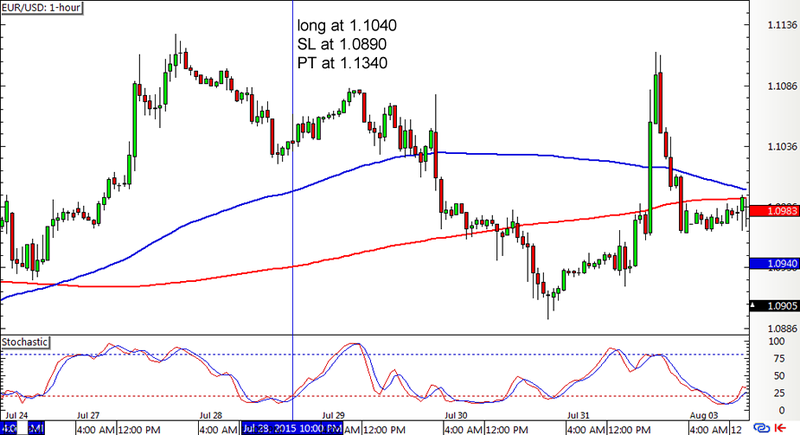 The pair gave a pullback entry signal soon after, and so did EUR/USD. 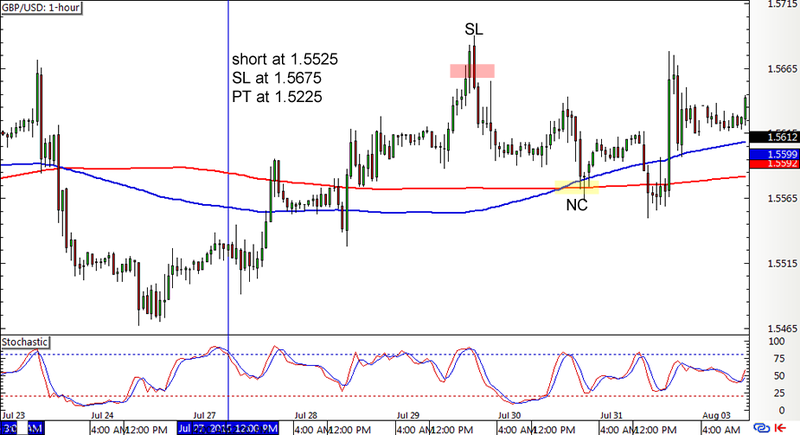 As for GBP/USD, the pair’s short entry position last week immediately hit its stop prior to another new crossover. 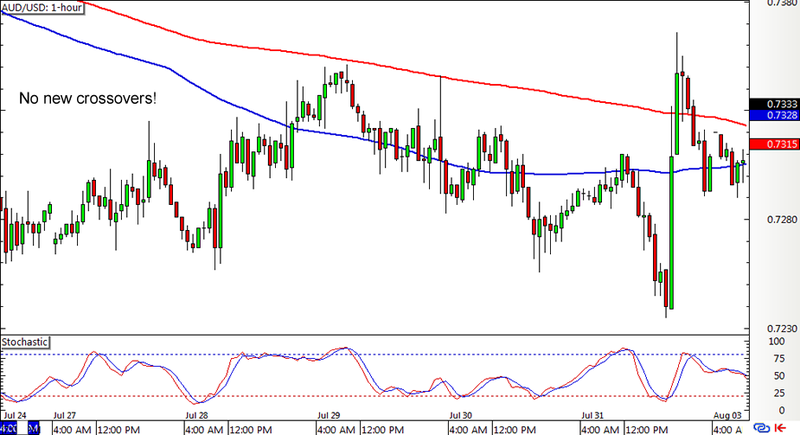 And for AUD/USD, well, the pair still hasn’t seen any new crossovers so there haven’t been any valid entry signals yet. All in all, the pair saw a 159-pip loss for the previous week, amounting to a 1.06% dent on the account. Now this has turned out to be the third consecutive week that the SMA Crossover Pullback mechanical forex system churned out an overall loss so I’m a bit worried. Heck, it already erased half of the 6% gain it made prior to all this! Then again the market environment has been ranging so far, and I’m still feeling positive that the system can get back on a good streak once stronger trends start forming again. As my buddy HitchBOT said before he got gruesomely decapitated in Philadelphia, it’s tough for a robot out here! Imma take a moment of silence for my fallen comrade right now but I’ll be back next week, hopefully with better updates. See ya!